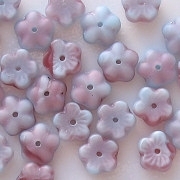 Size/shape: 3mm x 8mm flat flowers (actually, slight cupped) with the hole through the center. 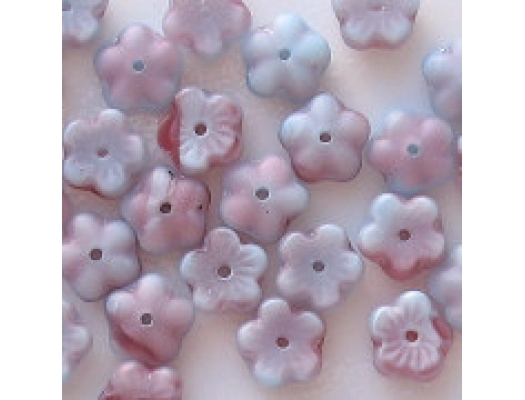 Colors/description: Opaque light blue with swirls of translucent fuchsia glass throughout. Comments: These are really beautiful little beads. 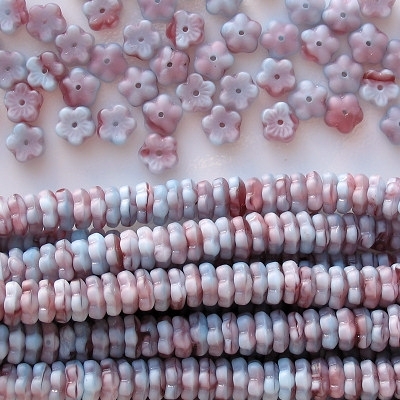 I carry several styles that have this raspberry glass swirled around an opaque color, and they are always gorgeous. The matte finish is a perfect addition.